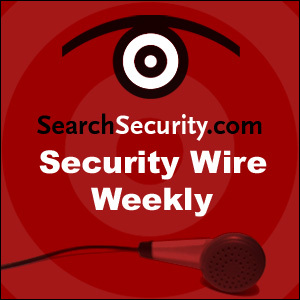 The SearchSecurity editorial team discuss how the poor economy affects security pros, cybersecurity for the next president, vendor security transparency and the security job market. Andre Gold, former director of security at Continental Airlines and former head of security and risk management at ING U.S. Financial Services talks about how IT security pros should respond to the current financial crisis and the mergers and acquisitions associated with it. Scott Mitic of TrustedID talks about the latest Identity theft news and the FTC Red Flag rules for healthcare firms taking effect Nov. 1.